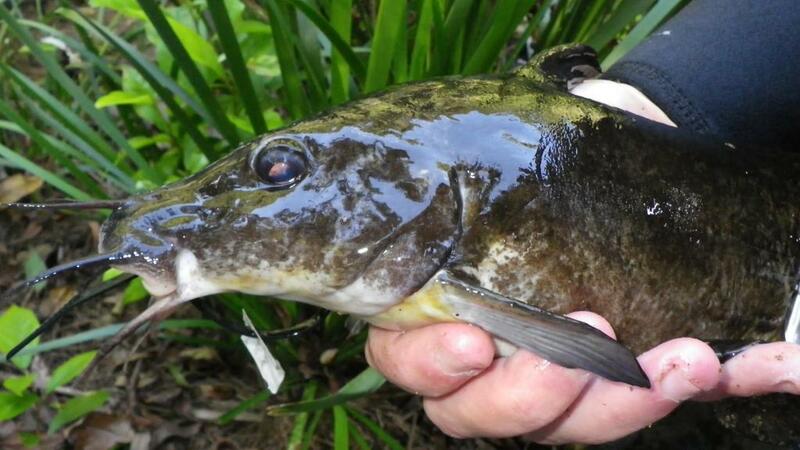 During the warmer summer months, after heavy persistent rain, and on our large moving tides around the full and new moon, catfish can be caught by the dozen. They seem to love the dirty water flowing during the above conditions and many an outing has been saved by the appearance of these much maligned fish. We are certainly spoilt here in Tropical North Queensland when a fish considered a prime target, good light tackle sport and not bad eating by the rest of the world (and in fact in some parts of Australia), is considered a pest up here by the ‘locals’. They are a bit difficult to handle. They are bottom scavengers and therefore covered in thick slippery slime. The top dorsal fin and two side pectoral fins also hide a sinister poisonous bony barb which will inflict severe pain on any unsuspecting angler. Take extreme care when handling these fish as a trip to the local doctor / hospital for treatment is often necessary following an accidental jab from one of these spines. Severe pain usually follows which can also become infected. Specimens to over 30lb have been landed and fish around the 5-8lb mark can be a ‘pest’ at times. They are not fussy feeders and will take almost any offering, from that old black smelly prawn, to fresh sardine and strip baits, nothing seems to faze them. Fish using a standard running sinker rig with as little lead as possible required to hold bottom. They frequent drop offs, gutters and deep holes, mud banks and structure, and are in almost plague proportions at favourable times of the year. Not usually eaten by locals they are considered quite good eating though, but must be bled immediately following capture. Take care when handling.